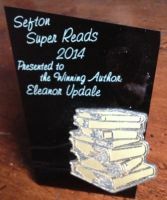 THE LAST MINUTE has won the Sefton Super Reads award. I went to Southport for the ceremony. What a joy. And now is is possible to download audio recordings of all five Montmorency books. The original two (recorded by Stephen Fry back in the days of cassettes) have been joined by brand new, unabridged digital versions read by the great John Sessions. Some authors get all the luck, and this time it’s me. All the audiobooks can be downloaded from Audible.co.uk - as can a lovely recording of my story The Ghost in the Machine, read by Thomas Judd. At last! 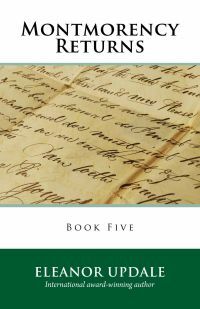 MONTMORENCY RETURNS, the fifth book in the MONTMORENCY series, is available as a paperback and as a digital download to read on Kindles, iPads, etc. You can get both from Amazon. I want to thank you all for being so patient, and to assure you that the delay in publication has been as annoying for me as it was for you. I hope you will feel that it is has been worth the wait. Montmorency was sure there was someone in the room with him. From the corner of his eye he saw the edge of a black cloak. Then he felt the pressure of cold metal against the back of his head. He grasped the arms of his chair, closed his eyes, and tried to feel brave. In this book, set in 1901/2, Montmorency finds himself battling to keep his friends safe, but he is forced to act in a way that turns them against him. As usual with my books, you can’t be sure that all will end well for everyone. All the other Montmorency books are now available in a new edition, to match Montmorency Returns. They have better paper and better print than ever. Each of the books can stand alone, but it’s best if you read them in the right order, and for the first time you can work that from the front of the books. These are the covers too look out for. 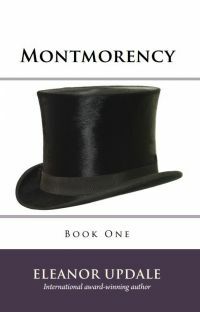 Please spread the word, and let me know what you think of the latest in the series, MONTMORENCY RETURNS. Like all the others, this book is suitable for anyone who likes a meaty story, whatever their age. Montmorency has fans from 9 to 99 and beyond. I was interviewed about THE LAST MINUTE by Mariella Frostrup on the BBC Radio 4 OPEN BOOK programme. You can hear the interview at http://www.bbc.co.uk/programmes/b01pz59k . The item on my book starts at 13 minutes and 19 seconds from the start of the programme. One of the things I love about the children’s author Eleanor Updale is that she’s impossible to pigeonhole. I first came upon Updale through her Montmorency novels. Set in Victorian Britain and – unusually for children’s fiction – without a child protagonist, they resemble Philip Pullman’s Sally Lockhart quartet, but with a flavour completely of their own. These rattling-good adventures centre around the life of a Jekyll-and-Hyde thief who uses the sewers as an escape route. Then came the wonderfully eccentric Johnny Swanson, a standalone title set in 1929 about a boy who makes money from people gullible enough to send postal orders in response to his personal ads. (His "miniature royal portraits", for example, turn out to be postage stamps with the king’s head on them.) Unlike the meticulously plotted and researched Montmorency books, this is much more of a romp: fun is at the heart of it, though Swanson still manages to touch upon the very real horrors of TB. And now we have The Last Minute, a book utterly unlike its predecessors. It begins at the end, with the unconfirmed reports of an explosion – or explosions – in an ordinary British town. And so the countdown begins. Chapter by chapter, minute by minute, we edge closer to the tragedy, giving us a snapshot of inhabitants going about their daily lives before disaster strikes. It is, of course, human nature for the reader to wonder which characters will die and which survive, but – as one would expect from Updale – there’s so much more to it than that. Peppered among the everyday incidents are telling moments which, with the knowledge of impending disaster, take on a different hue. Are these clues or red herrings? Who is to be trusted? What are their motives? 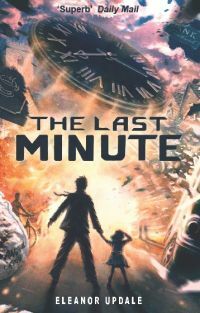 At first, The Last Minute may seem reminiscent of a spate of adult horror novels spawned by James Herbert’s The Rats in the 1970s, in which situations are set up and characters introduced purely to be struck down, with the reader wondering when and how; the big difference here is that the explosions don’t occur until the final moment, so Updale has given herself a far more challenging task. She has to carry the reader through the novel by engaging us with a large cast of believable characters, rather than revelling in the resulting carnage. And slowly but surely, little by little, she ratchets up the tension. The updates become shorter and more urgent until we’re seconds away from disaster. Updale is careful not to linger on the explosions themselves. There are no grand pyrotechnics. Instead, the deaths are described retrospectively in the transcript of a radio programme discussing the findings of a commission of inquiry. The book ends with a list of 65 fatalities: their names, ages and professions. It’s chillingly matter of fact, and all the more powerful for that (with echoes of the Enniskillen and Hyde Park bombing, for those old enough to remember them). These are people the reader has come to know. This is powerful stuff. What on earth will Eleanor Updale come up with next? At 9.21am, on an ordinary morning just before Christmas, the people of Heathwick are shopping, working and making plans. One minute later, a massive explosion kills 65 of them. How? And why? Updale recounts the final sixty seconds leading up to the tragedy, and in each short one-second chapter builds layer upon layer of character, backstory and possible clues, depicting a town full of lovers and loners, children on a school trip and pensioners looking forward to spending time with their grandchildren - like Under Milk Wood with a ticking bomb. Is that a gas leak? Who left those bulky suitcases in the back of a taxi? 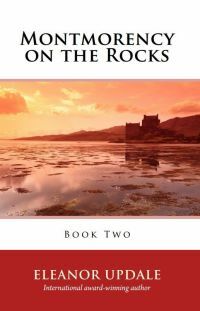 Her control of the unfolding story is superb (we know from a live news report at the start that there has been an explosion) and this highly original, absorbing book showcases the skillful versatility of the author of Johnny Swanson and the Montmorency series. This next one is from the website: Did You Ever Stop To Think and Forget To Start Again? We meet LOTS of characters. Each of them has something going on. Each of them has something they want/don’t want/are scared of/are longing for/are enduring and we follow them all to the bitter end. And we know the end is bitter because we are told this on the cover and in the blurb. There’s quite a lot we don’t know as well. Who caused the explosion? Why? Who will die? Who will survive? It’s a simply brilliant idea and it’s perfectly executed: humorously, movingly, excitingly and without any surplus detail or description. There is not an ounce of spare prose on this text. One of the most enjoyable aspects of this book is worrying. You are, as a reader, constantly in a fret, wanting to cry out to various people and tell them not to do something they’re doing. The ‘he’s behind you’ impulse is very strong throughout; wanting to warn is a instinct it’s hard to stifle and even though characters in a book can’t hear you, I did find myself mentally yelling at various people as the book went along. Everyone will have their favourite strands. I liked the joke that starts to be told at the beginning and for whose punch line you have a very long wait. I love the exercise class that’s going on behind a plate-glass window. I especially loved the writer, not getting down to work. 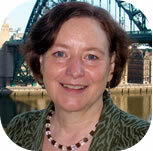 Unlike Eleanor Updale, who has been most diligent and careful about hers. It’s a wonderfully exhilarating book and not like anything else. I salute a truly adventurous writer. You can read the full text of the review on the BOOKS page of this site, where you can also read two rave reveiws from booksellers. As you can imagine, they have made me very happy..
JOHNNY SWANSON has won the FANTASTIC BOOK AWARD. 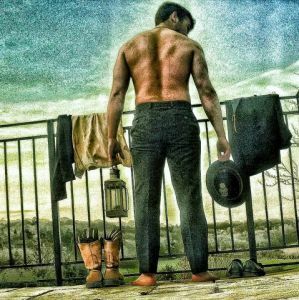 Updale writes with such obvious relish that fun exudes from the ink on every page. This is real entertainment. Johnny Swanson is just the kind of book for which the term "joyous romp" was invented. Amanda Craig in The Times said, ’Updale doesn’t put a foot wrong in this marvellous tale’. Here’s a picture of the (rather unusual) cover. You may already have seen the front of it, but I thought you’d like a look at the whole thing, including the flaps that wrap round the book. We had a great time at the launch. If you want to come and see me talking about Johnny Swanson, I’ll be at the Edinburgh Book Festival on 15th August, and the Cheltenham Festival on 16th October. JOHNNY SWANSON is very different from my Montmorency books. It’s set in 1929, more than a decade after the end of World War I, when any glamour associated with the war had well and truly worn off. 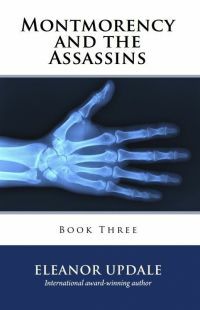 The book features advertising, tuberculosis and murder. The main character is a boy whose efforts to help his mother end up threatening her life - and he is the only person who can save her. That sounds more grim than the book is. There’s plenty of humour, too. I hope you’ll get to love Johnny, Winnie, Hutch and Olwen as much as you love Montmorency and his friends. When researching her first foray into children’s fiction – the marvellous Montmorency novels – Eleanor Updale found herself deep beneath the streets of London in a public sewer. It’s unlikely that any such strenuous preparations were required for Johnny Swanson, save perhaps a trip to the former sanatorium of Craig-y-Nos Castle in Wales, which is today, rather conveniently, a hotel. This latest novel is, I would suggest, pitched at a slightly younger audience than Montmorency (though a thoroughly enjoyable read for this adult), and is in an undeniably lighter vein. The story has three main strands: the schoolboy Johnny Swanson earning income from the personal ads; the spread of tuberculosis in the 1920s; and the up-to-no-good skulduggery – what other kind is there? – that somehow bridges these first two strands. Johnny gets into the personal ads business when he sends off a two-shillings-and-sixpenny postal order to find out the SECRET OF INSTANT HEIGHT. (Their capitals.) If you’ve no idea what two shillings and sixpence is, or a postal order come to that, you’ll soon find out. Johnny doesn’t have that much money, so he "borrows" it in the not-actually-asking-but-having-every-intention-of-paying-it-back sense. When buying the postal order from the local post office, he creates a fictional Aunt Ada, pretending that she’s sick and will be spending the two-and-six to buy a train ticket to come and stay with him and his mother. The response (the secret of instant height) when it finally arrives, is not quite what Johnny expected. It is to stand on a box. He feels outraged and more than a little stupid. 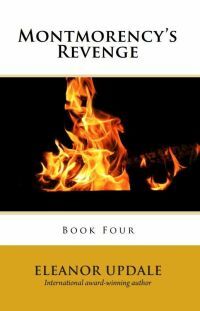 Rather than seek revenge, he sees the potential in such a scheme, or rather scam. He soon starts coming up with advertisements of his own. To do this, his fictitious aunt has a new use: as the "adult" placing the ads for whom he is apparently running errands. When Johnny’s mother is taken away and charged with a serious crime, "Aunt Ada" takes on an even more significant role. She’s the nonexistent responsible adult supposedly looking after him, thus freeing him to do the best he can to prove his mother innocent. When Johnny plays detective, don’t expect a story of intricate, multilayered plotting and subtle subterfuge. Johnny Swanson is very much of the plot-exposition-as-dialogue-overheard-by-an-eavesdropper-conveniently-under-the-table-at-the-time school of detective fiction. There’s no real need for the strenuous application of little grey cells here. Events move at a fair lick, and revelation follows revelation. Updale writes with such obvious relish that fun exudes from the ink on every page. This is real entertainment. Johnny Swanson is just the kind of book for which the term "joyous romp" was invented.